B.E. in Electrical Engineering, Kyoto University, March 1973. M.E. in Electrical Engineering, Kyoto University, March 1975. Ph.D. in Electrical Engineering, Kyoto University, May 1980. Associate Professor, Kyoto Sangyo (Industrial) University, 1978-1990. Visiting Associate Professor, UC Berkeley, 1983-1984. Associate Professor, Kyushu University, 1990-1992. Keynote Speeches: ISPAN2005, SWAT2006, ISAAC2006, SAT2008, WALCOM2012. Seminar Talks: MIT, Yale University, University of Toronto, McGill University, Brown University, IBM Watson Research, University of Maryland, Indiana University, University of California (Berkeley), University of Washington, University of Paris, University of Tuebingen, MPI (Saarbrucken), Lund University, IBM Tokyo Research. Invited Talks:Dagstuhl-Seminar (1998, 1999, 2002, 2003, 2004, 2005, 2006, 2007, 2008, 2009, 2010, 2012), Spring School at Zhejiang University (2005), EQIS(2001, 2003), MS+S2004, 2nd Japanese-Hungarian Symposium on Discrete Mathematics and Its Applications (Budapest, 2001), Workshop on Meta-Arithmetic and Computation (Sendai, 1997), DIMACS Workshop on Satisfiability Problem: Theory and Application(1996), JSPP'93 (1993). Invited Lectures: Kyushu University, Nagoya University, Hiroshima University, Osaka University, etc. Organizing Committee Chair, 23rd ACM-SIAM Symposium on Discrete Algorithms (SODA 2012), Kyoto, Japan, 2012. Editor-in-Chief, Algorithms (MDPI Online, Open Access Journal), 2008-. Founder and Chair of Executive Board, Asian Association for Algorithms and Computation (AAAC), 2007-. Council Member, European Association for Theoretical Computer Science (EATCS), 2002-2006. Steering Committee Member, European Symposium on Algorithms (ESA), 2003-2007. Organizing Committee co-Chair, Dagstuhl Seminar 08431 on Moderately Exponential Time Algorithms, 2008. Organizing Committee co-Chair, MATCH-UP: Matching Under Preferences -Algorithms and Complexity- (Satellite workshop of ICALP 2008). Organizing Committee co-Chair, 14th International Symposium on Algorithms and Computation (ISAAC 2003). Chair, 1997 Japan-Korea Joint Workshop on Algorithms and Computation, 1997. PC Chair: AQIS 2009, TQC2012. Program Committee, SWAT2000, ISAAC2000, FCT2001, ISAAC2001, ESA2002, IFIF-TCS2002, ICALP2003, CIAC'03, CIAA'03, ICALP2006, TAMC2007, WG2007, MFCS2007, STACS2008, ICALP2009, ISAAC2009, COCOON2009, SAT2009, ICALP2010, SAT2010, WG2010, CIAC2010, COCOON2012, CSR2012, ISAAC2012, MFCS2012, SAT2012, TAMC2012. Editorial Board Information Processing Letters, 1998-2009.
International Journal of Foundations of Computer Science, 2005-. Journal on Satisfiability, Boolean Modeling and Computation, 2005-. ACM Transactions on Computation Theory, 2007-. Book Series "Theoretical Computer Science," World Scientific Publishing, 2008-. Chair, Publicity Committee, School of Informatics, Kyoto University, 1999-2001. Development of High-Quality Algorithms Based on Engineering Measures, Ministry of Education, Science, Sports and Culture of Japan (Monbusho), 2001-2004. Algorithm Engineering as a New Paradigm: A Challenge to Hard Computation Problems, Ministry of Education, Science, Sports and Culture of Japan (Monbusho), 1998-2000. Feasible Solutions of Real-World Combinatorial Optimization Problems, Monbusho, 1998-2000. High-Speed SAT-Algorithms and Real-World Combinatorial Optimization Problems, Kayamori Foundation of Informational Science Advancement, Japan, 1998-1999 . Solving Real-World Combinatorial Problems using High-Speed SAT-Algorithms, Monbusho, 1997-1999. Research and Development of Advanced Database Systems for Integration of Media and User Environments, Monbusho, 1996-1998. Computational Complexity of Automated Theorem Proving, Monbusho, 1996-1997. Fast and Mass Generation of Random Benchmark Circuits That Are Not Too Artificial, Monbusho, 1996-1997. Studies on How to Generate Random Benchmark-Test Instances, Monbusho, 1995-1996. Quantum Computation and Information, ERATO (Exploratory Research for Advanced Technology, Japan Science and Technology), Group-Leader (Quantum Complexity Group, Kyoto Office), 2000-. Organization of Highly Available Internet for Catastrophic Occurrence, Information-Technology Promotion Agency, Japan, 1998-2000. Design of Quantum Circuits and Quantum Algorithms, New Energy and Industrial Technology Development Organization, 1997-2000. Survey on Data-Mining Research, Joint Forum for Strategic Software Research (SSR), 1998. Honorary Doctor (Dr. honoris causa), University of Latvia, 2008. Member, Science Council of Japan, 2005. Research Grant in Natural Sciences, Mitsubishi Foundation, 1995. Chuzo Iwammoto, Kyushu University, 1992-1995, http://www.iec.hiroshima-u.ac.jp/~iwamoto/. Eiji Miyano, Kyushu University, 1993-1995, http://www.ces.kyutech.ac.jp/staff/miyano.htm. Shuichi Miyazaki, Kyushu University, 1995-1998, http://www.lab2.kuis.kyoto-u.ac.jp/shuichi/index-j.html. Byungki Cha, Kyushu University, 1995-1998, http://www.kiis.ac.jp/~cha/. Manzur Morshed, Kyushu University, 1995-1998. Yuichi Asahiro, Kyushu University, 1996-1998, http://www.is.kyusan-u.ac.jp/~asahiro/index-j.html. akuya Yoshihiro, Kyoto University, 2000-2003, http://www.wakayama-u.ac.jp/~tac/. Akihiro Matsuura, Kyoto University, 2000-2003. http://www.adachilab.k.dendai.ac.jp/matsuura/index-e.html. 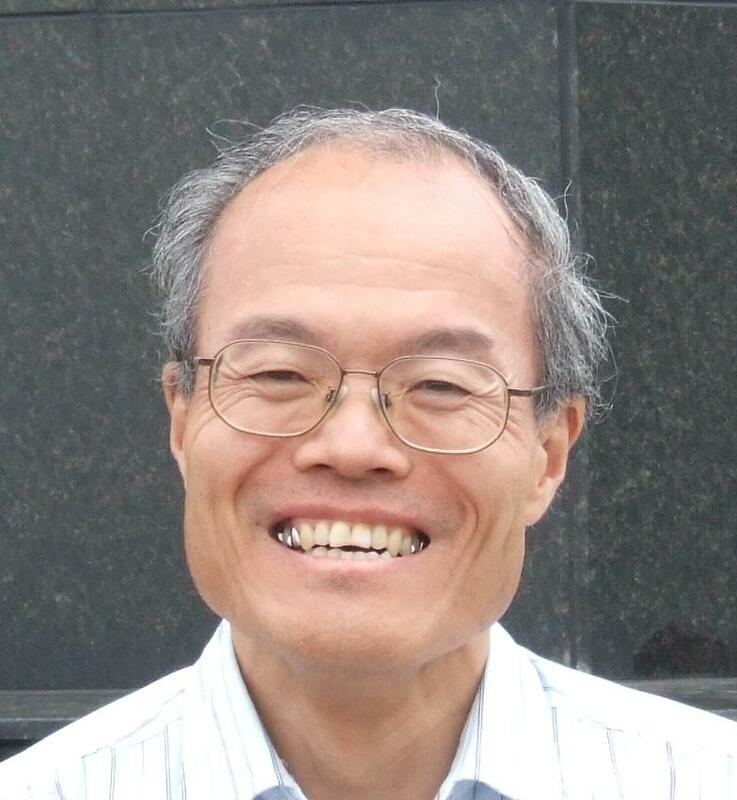 Kouki Yonezawa, Kyoto University, 2001-2004. http://km.meme.hokudai.ac.jp/people/yonezawa/index.html. Akinori Kawachi, Kyoto University, 2002-2004, http://www.is.titech.ac.jp/~kawachi/index-e.html. Akihiro Uejima, Kyoto University, 2002-2005, http://www.lab2.kuis.kyoto-u.ac.jp/uejima/index-j.html.